Wireless phones have dominated the market for the past couple of years and unless you are getting a cheap pay-as-you-go phone, there is a 90% chance that you have Bluetooth capabilities in your phone. This can be handy for a number of reasons including updating contacts, playing music from your phone to a set of speakers and of course connecting a Bluetooth headset. As more States and Provinces require hands-free kits in order to use your phone while driving, Bluetooth headsets are becoming more popular. The problem still remains that most headsets require you to pick up your phone to answer or to place a call. BlueAnt has pioneered the area of voice controlled headsets and today we have their latest creation - the Q1. This is a successor to the V1 voice controlled headset and it features a redesign as well as some feature enhancements and improvements. One of the big features is improved wind cancellation as well as multipoint connectivity. Multipoint allows you to connect the Q1 with multiple devices at the same time and answer the one that rings. We'll get more into that as we continue. The BlueAnt Q1 doesn't actually include a lot of accessories. Other BlueAnt products that we've reviewed came with wall chargers as well as car chargers, extra USB cables and adapters, but the Q1 seems a little bare. Don't get me wrong, you get everything you need including a wall charger as well as a short cable to charge the headset from your computer (and update the firmware). You also get a single ear hook and an extra earpiece. 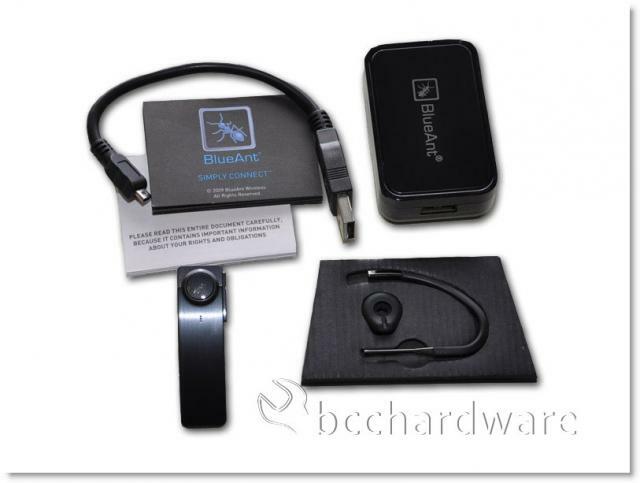 Previously, the extra accessories just cost BlueAnt more to include and often weren't used by most people. I never charged my headset in the car, so I don't miss the car charger, and the ear hook on this unit is much sturdier than previous plastic ones, so they can get away with just a single ear hook. 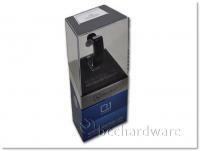 The Q1 Voice Controlled Bluetooth Headset. Large and small ear buds. A USB Cable, for firmware updates and recharging. The Quick Start Guide, which will tell you everything you need to know to get started using your Q1. On the next page we'll take a closer look before we jump into the features and specs of the Q1.